No matter why you love collecting American Silver Eagles or how you've come to appreciate them, we have the 2018 Silver Eagles that are right and ready for your collection. Whether you love them for their art or for their metal (or both!) we have NGC-certified flawless bullion coins sure to delight collectors and stackers alike! WEINMAN'S CLASSIC WALKING LIBERTY . 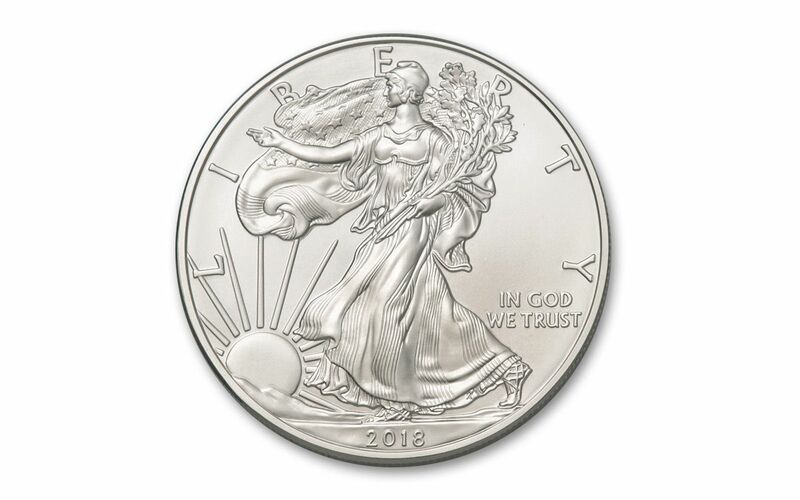 . . -- Adolph A. Weinman's iconic Walking Liberty design first made its debut on the 1916 half dollar, lasting three decades before bowing out in 1947. In 1986, this iconic image was reborn for the Silver Eagle with her exquisitely detailed beauty remaining on the coin ever since.
. . . PAIRED WITH JOHN MERCANTI'S HERALDIC EAGLE! -- This coin's stoic and symbolic heraldic eagle was created by designer John Mercanti -- the most prolific coin and medal designer in United States Mint history! EXPERTLY STRUCK IN HIGHLY PURE SILVER -- The craftspeople of the U.S. Mint are known around the world for their skill and attention to detail. It's this talent that transforms each one-ounce planchet of 99.9% fine silver into beautiful pieces of numismatic art. 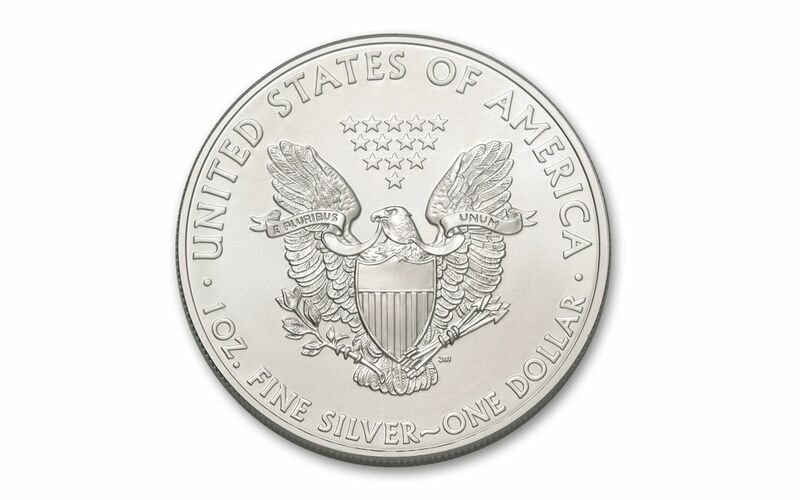 U.S. LEGAL TENDER -- Each 2018 Silver Eagle bullion coin is one dollar United States of America legal tender, as seen on the coin's reverse. CERTIFIED FLAWLESS -- Your coin will come certified Mint State-70 (MS70) by Numismatic Guaranty Corporation (NGC), a distinction that means your perfectly graded 2018 1-oz Silver Eagle will have ZERO imperfections -- showing all features and fields exactly as the engraver and mint intended! 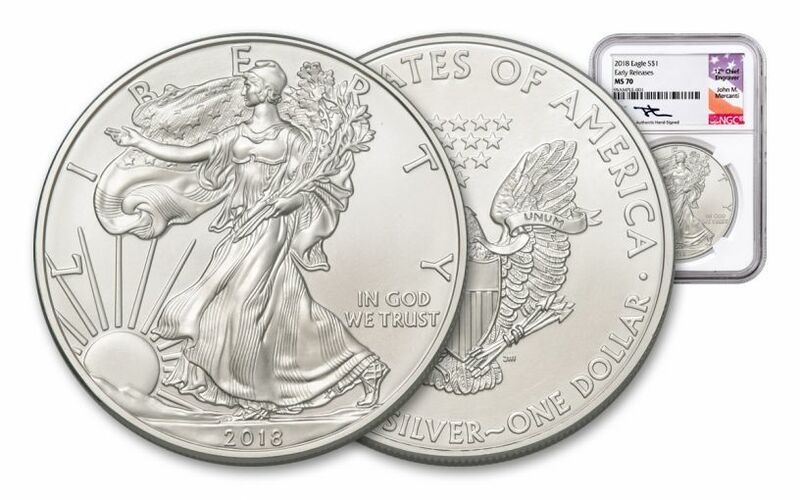 In addition, your Silver Eagle will be certified Early Releases (ER) by NGC, meaning that it was among the first struck by the mint and was verified within the first 30 days of issue. AN AUTOGRAPHED LABEL! -- Your Silver Eagle will also be sonically sealed in an acrylic holder, giving you the best in protection while granting clear sightlines into every beautiful detail. 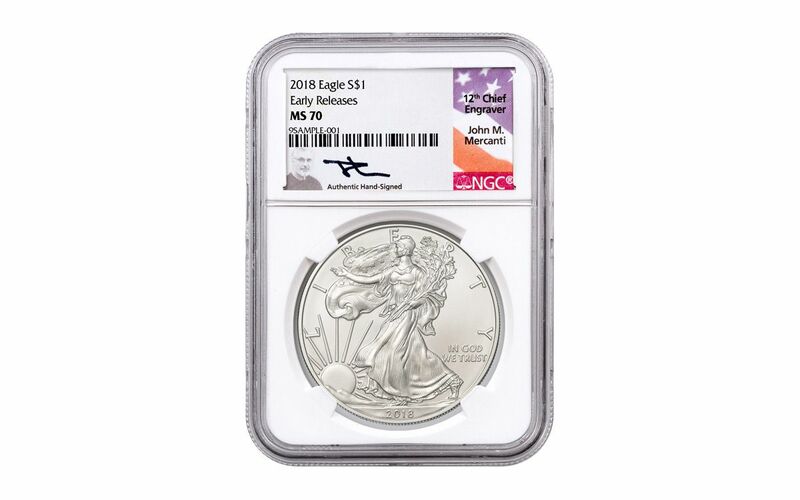 Inside that holder, you'll find another phenomenal feature -- a label hand-signed by the designer of the Silver Eagle's reverse, 12th Chief Engraver of the U.S. Mint John Mercanti!